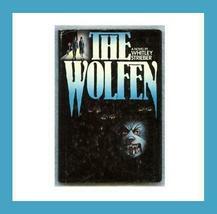 A SCARY, Collectible, Classic Horror Novel about Werewolves, to add to your Library Collection! 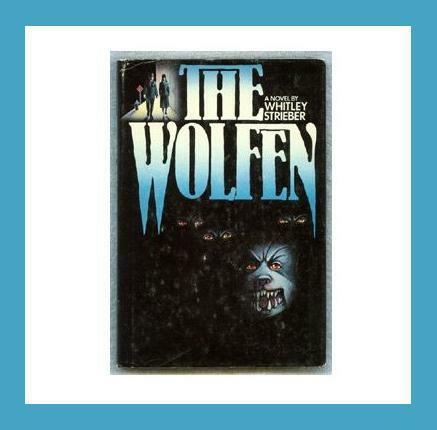 Book Title: THE WOLFEN Category: Horror Author: Whitley Strieber Publisher: William Morrow Co, Inc, New York, NY Printed: 1978 Binding: Hardcover, with Dust Jacket Pages: 216 ISBN-10: 0688033474 ISBN-13: 978-0688033477 Condition: Used, Looks Good! Tight Binding! Dust Jacket shows some normal wear. DESCRIPTION: “A pack of highly intelligent wolves live in the inner city and prey on the weak and homeless; those that will not be missed. They dedicate their lives to keeping their existence a secret, by always covering their tracks wherever they go. They know we are a dangerous enemy that would exterminate them if we knew they existed. Two detectives investigate the death of two cops who turned up in the wrong place at the wrong time, and were killed by a foolish young Wolfen who hadn't learned not to attack the strong and young yet. The two detectives uncover some of the truth and, naturally, nobody believes them. Every step the detectives take could be their last as they struggle to prove the existence of something that nobody has seen and survived. Brilliantly written and it makes you feel unsafe, even in your own bed.” “This book is simply incredible! It’s a well crafted roller coaster ride that takes you into the world and mind of the Wolfen, a highly intelligent wolf mutation that lives in and around our civilization and feeds on our outcasts. If you enjoy a good thriller, a fresh idea and view of our civilization, the Wolfen would be a top read for you.